The most touristy thing you could ever imagine involving a helmet no less. 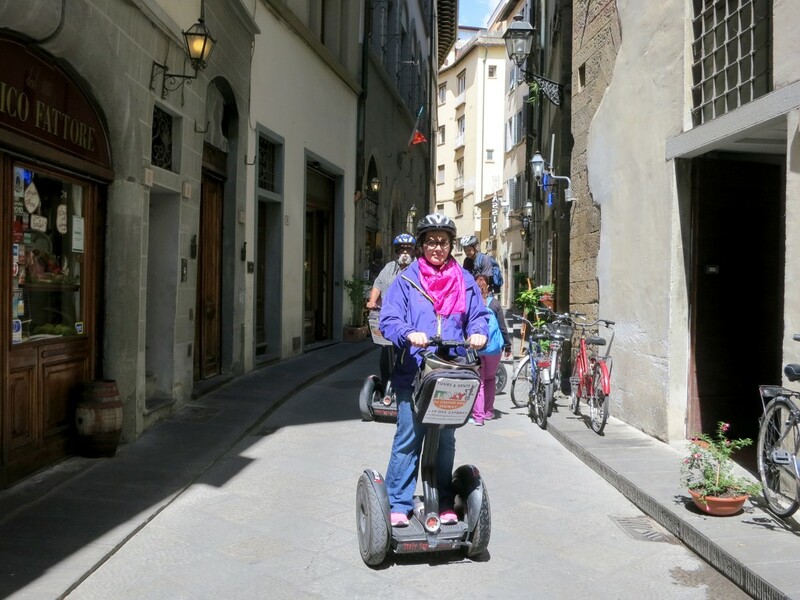 Yes, I rode on a Segway… in Florence. And it was awesome! 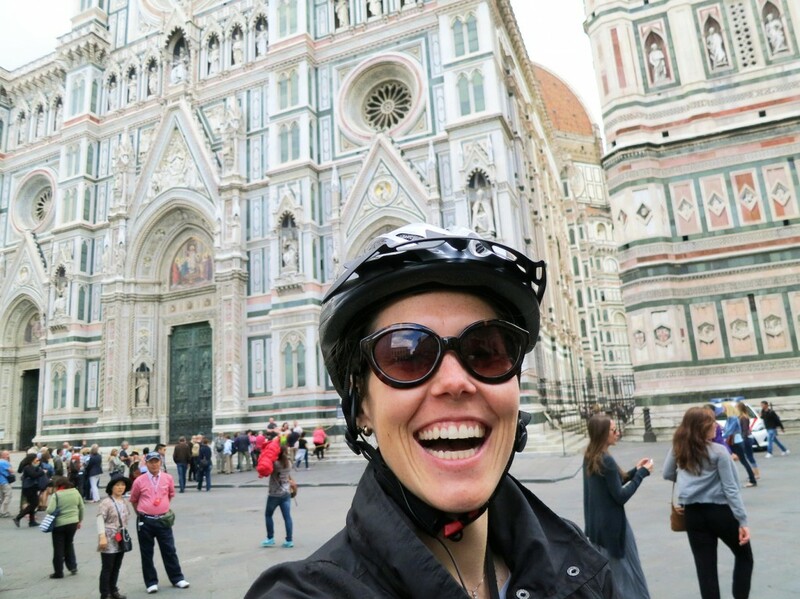 Florence Tours On Two Wheels, Baby! Valentina showing off her skills! 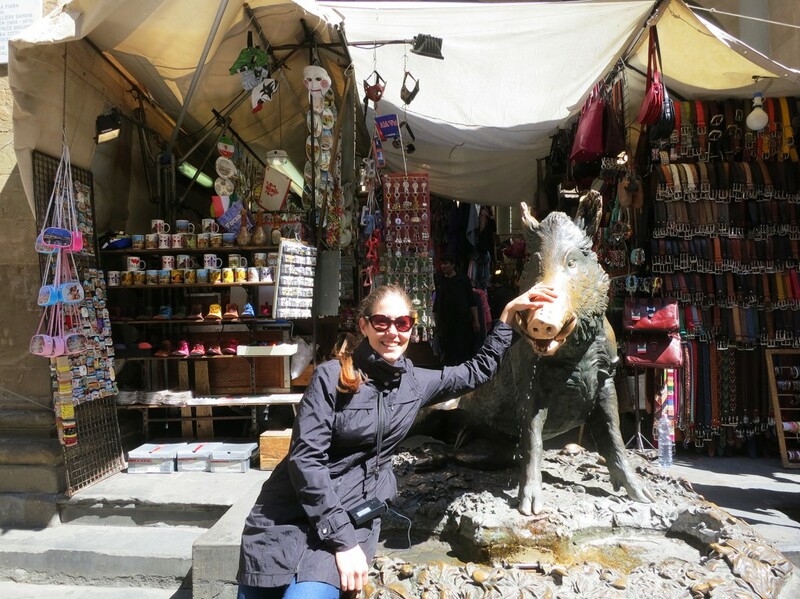 I met up with a fellow blogger—Valentina’s blog is about the unconventional parts of Tuscany, check it out!—at Italy Segway Tours located behind Piazza della Signoria. 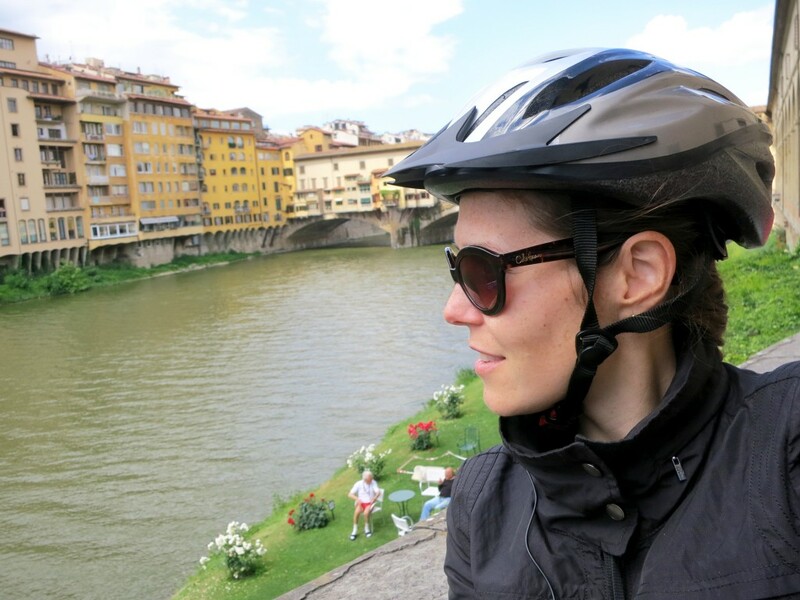 We signed a waiver, strapped on our helmets and clipped on an ear piece that whispered sweet nothings into our eardrums, or just fun facts about Florence from the guide during the tour. We took a practice run and as expected I was a bit nervous. 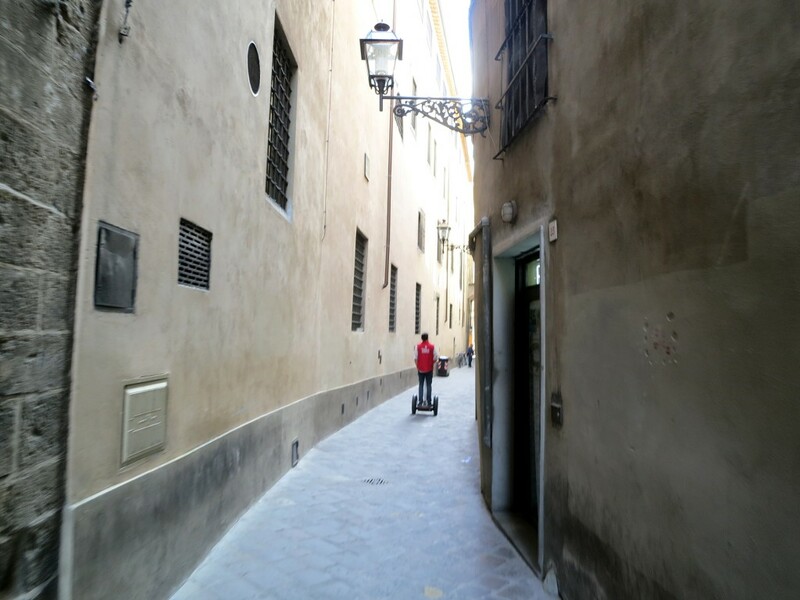 All of a sudden I got the hang of it and soon enough we all headed down the bumpy Renaissance roads of downtown towards the Duomo. At no point in my life have I ever been photographed so much! The Japanese tourists must have never seen a Segway before because they were all taking our picture. I started smiling and throwing the peace sign to whomever aimed their camera our way. Listen, this experience changed me. I’m now a certifiable Segway lover. If they were allowed outside of the historical center I would definitely want one of my own. 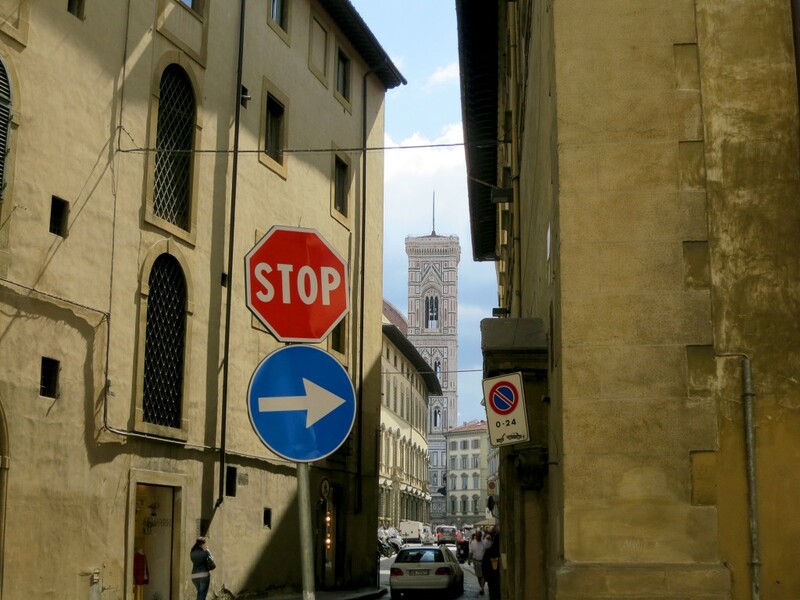 I was circling around Valentina and doing figure 8’s in front of Piazza Santa Croce. I couldn’t stop and was surprised that the guide didn’t kick me off the tour. 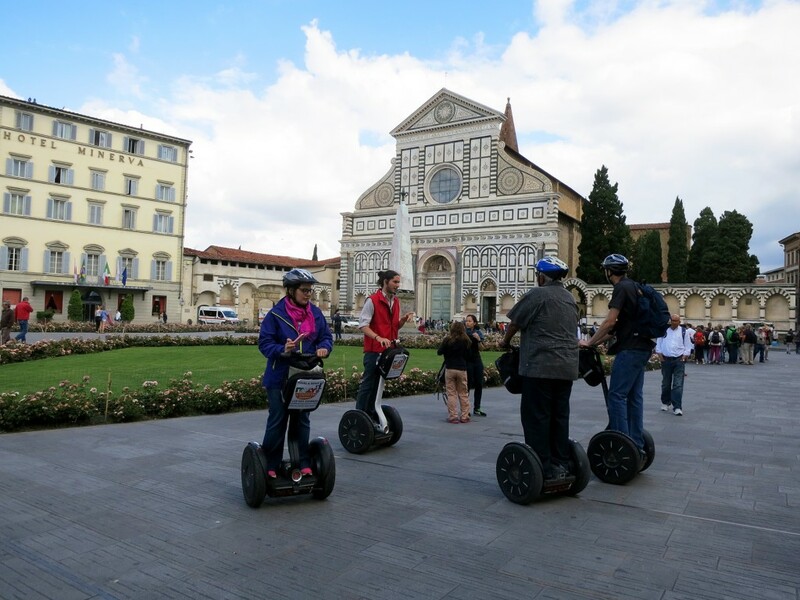 The facts were great, some I’ve heard before from living here, but the experience of being on a Segway and getting a glimpse of the main attractions in Florence was not bad at all! It was a really great way to see the city, especially if strapped for time or looking to have a memorable experience wandering around town. 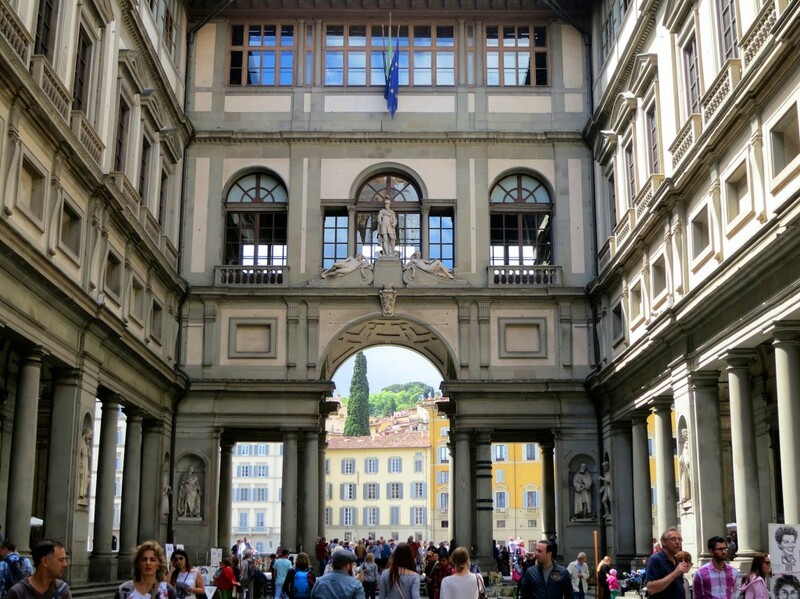 The tour led us to so many must-see spots like main piazzas, Uffizi Gallery and Ponte Vecchio. We ended the tour with a drink of our choice at Oibò by Santa Croce—I recommend the Caffè Shakerato of course. 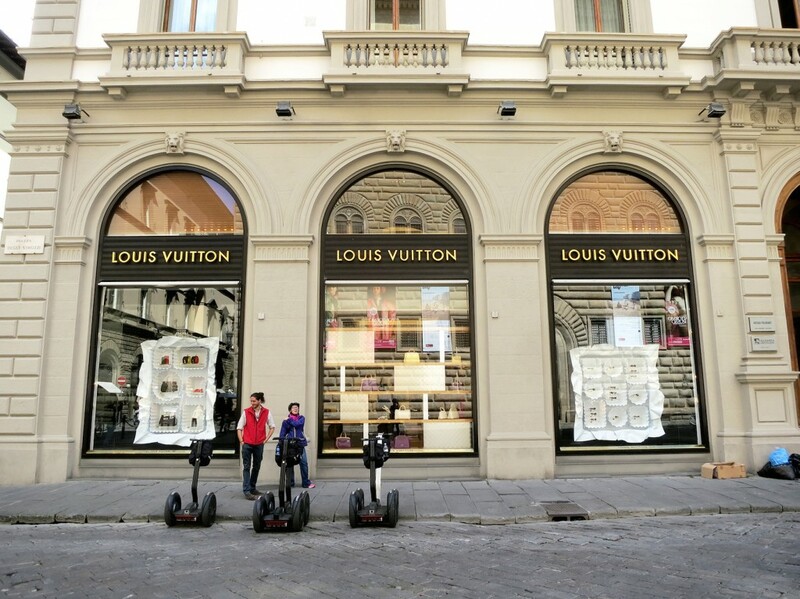 The Italy Segway Tours are in Florence, Rome and Milan. 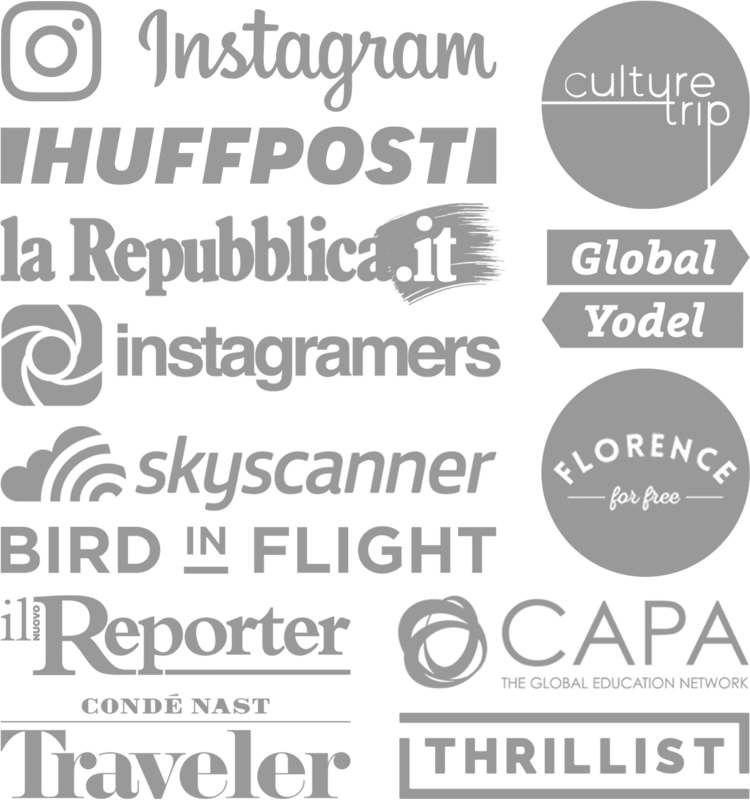 The tours are about 3 hours long and run from 75-100€ per person depending on the tailored tour you choose—they even have night tours! Find them on Facebook and Trip Advisor. What the most embarrassing thing you’ve done on vacation that made you smile? ‘Tis a shame this thing didn’t catch on. The Segway is a ton of fun to drive around, even though it does like a teeny-tiny bit dorky! Exactly, dorky! It’s a real shame it looks dorky because it feels incredible. I loved the experience and I hope this post makes people go out there and rent one!